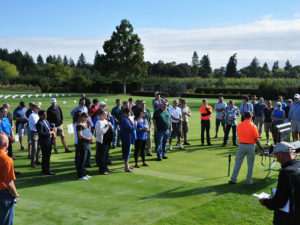 Candidates will be voted on by ballot vote and decided at the OGCSA Annual Meeting, Thursday, March 16, 2019 at Willamette Valley Country Club, Canby, OR. I’ve been the superintendent at Orchard Hills Golf & Country Club, just west of the Columbia River Gorge in Washougal WA, for the past 8 years. I started my employment at OHCC in 2005 and spent many of those years as an assistant. I began my journey in the Pacific Northwest in 2003, moving to Vancouver from my home state of Nebraska. I’ve gained a lifetime of turf knowledge from my family as a 4th generation superintendent, and I feel that there’s nothing more rewarding than providing members/customers a well-groomed course to play the game which we all love. I grew up in the golf business and got the bug to be a GC Superintendent while working during high school, at The Bayou GC owned by my Father. I went through the Turf Management Program at Linn-Benton CC. I was an assistant at Woodburn Senior Estates then off for my first stint at Elkhorn Valley GC. I was at the start of Sandpines Golf Resort, building the course and working with my brother Russ. From there I was 4 years at Springfield CC. I was asked to return to Elkhorn and build the back 9. Several years later the owners sold the course. Good then bad times followed so I decided to move on. I have been at Middlefield GC for a couple of years and enjoy the Course, the people and the town. 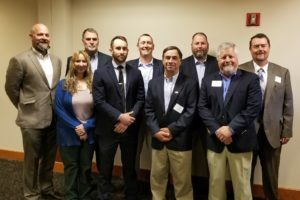 I have been privileged to serve on the OGCSA Board this last year, and look forward in continuing to serve our members and promote our industry. As a native Oregonian who had the fortune of attending Oregon State University, nothing would give me greater satisfaction than serving our state association as a member of the Board of Directors. Having returned to Oregon over nine years ago, my commitment to serving is long overdue … as some have pointed out on multiple occasions! I was fortunate to grow up in the farming and ranching community of Heppner, Oregon. My parents purchased my first set of golf clubs at Caplan’s in downtown Portland and I grew up playing at Willow Creek Country Club in Heppner (it is the furthest thing from a “country club”). I attended Oregon State and after changing my major, graduated with a degree in Horticulture in 2002. I was fortunate to work for several graduates of OSU in Oregon, Washington and Northern California prior to returning to Oregon in 2010. The game of golf and this industry have provided me with everything over the years and I would be humbled to be allowed the opportunity to give back and help with moving the golf course management industry forward over the coming years. 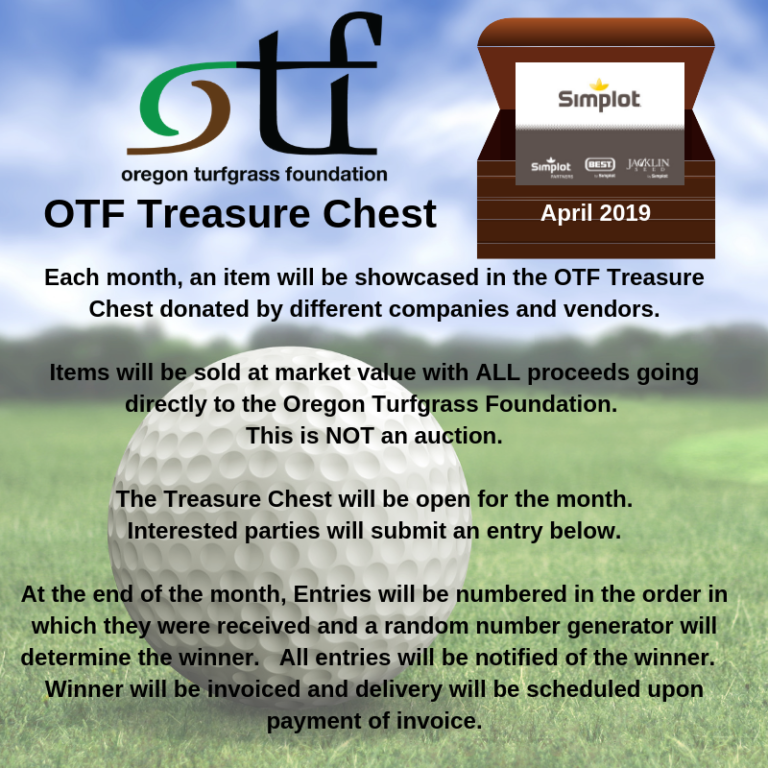 Starting my 26th season in the golf course industry and 15th as a Golf Course Superintendent, it is time for me to give back to the organization that has supported me throughout my career. As a graduate of Oregon State University’s Turf Management Program (1998) and working at 6 different golf courses throughout Oregon, I have had the opportunity to associate and work with many outstanding professionals in the industry, helping me grow as a superintendent. I am currently in my third year as Superintendent at Bend Golf Club, spending the previous 10 years at Broken Top Club. My wife Cathi, daughters Macy (12) and Harper (10) keep me motivated and support the commitment that the golf course requires. Bend has been a special place to work and raise our family and we are grateful for that. 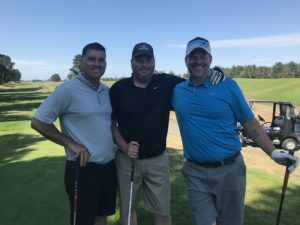 Spending most of my career in Central Oregon has provided many friendships that have led to a tight knit group of superintendents that support each other beyond our profession. Thank you for your consideration to serve as a Director for the Oregon Chapter of the GCSAA. I look forward to the opportunity to work with this great organization that supports us all. I am the Golf Course Superintendent at Tokatee Golf Club in Blue River, Oregon. I was introduced to the game of golf in college and since then it has helped shape my life in a myriad of ways. After my introduction to the game I began working at Corvallis Country Club and Trysting Tree Golf Courses and interned at the Stock Farm Club in Hamilton, Montana. I received my master’s degree in horticulture from Oregon State University in 2012 and started at Tokatee immediately after graduation. I currently live in Blue River with my wife, Rachel, and our two young boys Jackson and Landon. When I’m not at the golf course I enjoy spending time with my family and exploring trails in the Cascades. 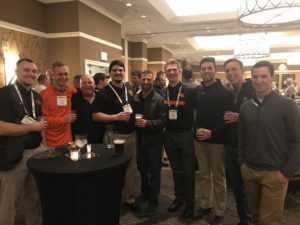 The OGCSA has helped me network with other professionals, given me access to scholarships while in school, and has played an integral part of my professional development. 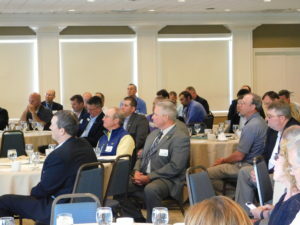 I want the opportunity to give back to the OGCSA by serving a term as a director. Thank you for your consideration. For the past 10 years I have had the privilege of working at Langdon Farms Golf Club, first as an assistant, and the last two years as Superintendent. Prior to working at Langdon and immediately out of college, I was an assistant for Mark Shepherd at Aspen Lakes. Over the past decade my wife Emily and I have welcomed three children- Ella, Charlotte, and William. We live on the family farm outside of Sublimity, OR. When I have free time, I enjoy getting the kids outside to play sports, working in our large garden, and spending time outdoors. I enjoy heading east to hunt as well. Having three children under the age of six has helped me gain patience and learn to approach every situation differently, which would help in serving on the Board of Directors. In my time at Langdon I have learned what it means to give back to an association that is here to help us, through experiences and serving on the Assistant’s Committee. I would love to give back to an association that gives to all of us, serving as Director for OGCSA. I am excited for and appreciate the opportunity to potentially serve as an OGCSA Affiliate Director. I have had a unique appreciation for golf and fine turfgrass management since I was single digits old. I am a golfer of over 35 years and believe it is part of my role as a fine turfgrass steward to spread our passion for the game and the judicious management of its playing surfaces. Fortunately, golf led me to golf course maintenance when I was 18 years old when I began working on golf courses and soon realized my desire to be a part of the industry. I received a B.S. in Horticulture from the University of Wisconsin with a Turf and Grounds specialization in 1999. 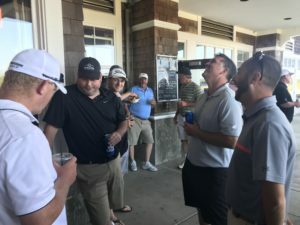 I have been a member of 11 golf course maintenance teams in Colorado, New York, and Wisconsin and have been the golf course superintendent at three of these facilities. 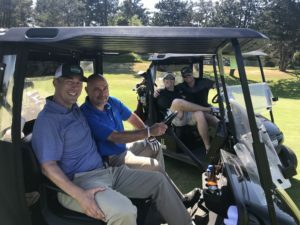 I have also been a certified golf course superintendent (CGCS) for 15 years and have spent nearly five years in municipal parks and recreation in Oregon. 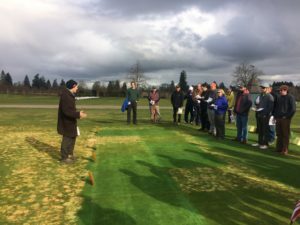 Furthermore, I have also spent two years working with and behind the scenes of the Oregon State University Turfgrass Program producing relevant industry data and outreach while earning an M.S. in Horticulture. 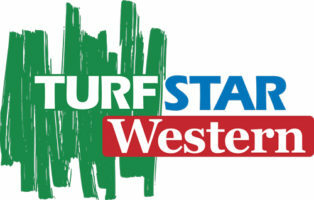 My thesis, “Water Use Characteristics of Ten Newly Established Cool-season Turfgrass Species” was completed in 2011. 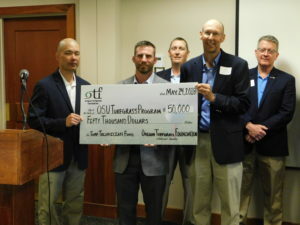 Also, while with Oregon State University I was fortunate to assist in the development of the 2nd Edition of the OGCSA Environmental Stewardship Guidelines and would very much enjoy the opportunity to assist in the development of a 3rd edition and the OGCSA BMPs. I relish working with and for the public and take a prodigious deal of pride in the relationships I have nurtured over the years. Therefore, I recently embarked on a new journey and have started Tblankenship, LLC. 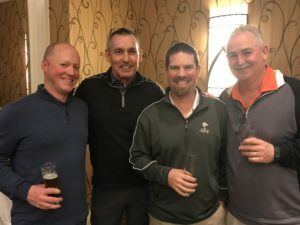 Tblankenship, LLC is a multi-faceted company focusing on the promotion and betterment of the green industry with an emphasis on fine turfgrass and golf course management. It is an advisory service covering agronomic, fine turfgrass, golf course, park, and sports turf management. Additionally, Tblankenship offers opportunities for industry driven independent research along with remote sensing capabilities for golf courses, sports fields, parks, and other greenscapes. I am excited to share my knowledge and experiences to help colleagues across the region while promoting sound environmental and precision resource management. I would embrace the opportunity to be an OGCSA Affiliate Director and to learn from other colleagues while assisting in facilitating comprehensive management of the association for the highest benefit of the membership and thank you for the consideration.